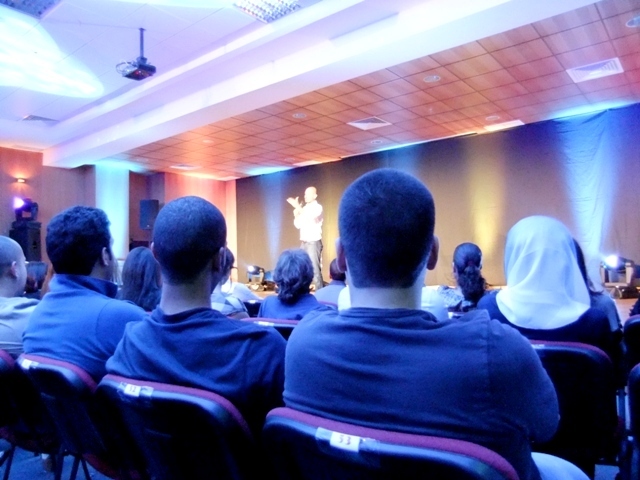 Today I went to see the comedy show (So you think you can laugh) at AUK . The comedians were Ahmed Ahmed, Dean Edwards, Sugar Sammy and Maz Jobrani (love that guy), I've heard most of the jokes before, they were exactly like last year's show. heheehehhe yeah his chris rock impression was hilarious , walah 7ata lama qald debzek washington kan wayed funny , the show overall was excellent elsar7a , i wish they do it more often bs 3ad naby new jokes , i think by now we've memorized almost all their jokes by heart !